Tamales are certainly one of the most beloved holiday foods for many families. But making tamales is super time-consuming–something not many people have this time of the year. 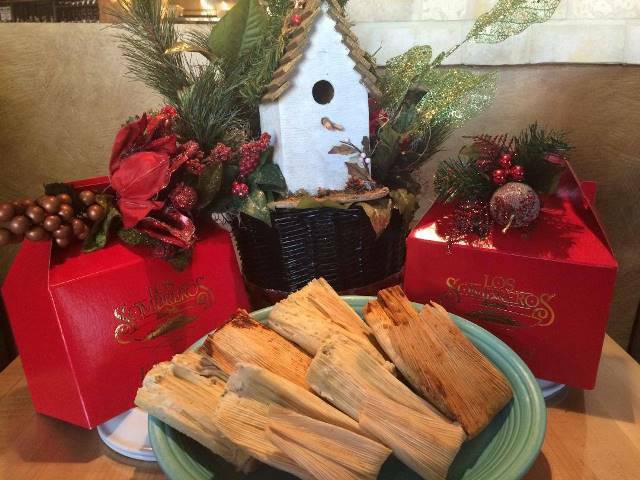 Fortunately, two of our favorite Mexican Valley eateries are dishing up delicious and festive holiday tamales. Los Sombreros offers the 12 Tamales of Christmas: Green Corn, Rajas Cheese, Smoked Chicken, Tomatillo Chicken, Chipotle Pork, Spicy Pork, Red Chile Beef, Beef and Cheese, Chorizo and Black Bean, Pineapple and Raisin, Canela and Chocolate. They are $27.95 per dozen (one flavor); $29.95 per dozen (one of each flavor); or $22.95 for nine sweet tamales (three flavors). All orders must be pre-paid and ordered 72 hours before pick-up. All orders must be picked up by Dec. 23. To order, call 480.994.1799 (Scottsdale location) or 480.991.1799 (North Scottsdale location). 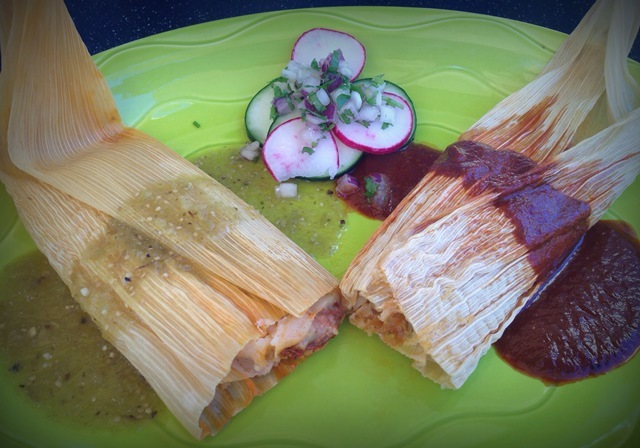 Barrio Queen is offering up two kinds of holiday tamales this year. The first variety, Pork Green Chile, is more traditional and features tender, slow-cooked Coca-Cola- and orange zest-marinated pork, combined with The Queen’s famous green chile sauce. The second variety, Chicken Mole, is a bit more exotic and actually sold out during Barrio Queen’s two-day Dia de los Muertos celebration. This indulgent option features delicious slow-cooked chicken with a thick, rich, spiced dark chocolate and chile mole sauce. $18 a dozen (plus tax). (One dozen may also be split between the two flavors, offering a simple solution for those torn between varieties and needing only a dozen.) To order, call 480.656.4197 or stop by the restaurant to pre-order; 24 hours notice is required for each order.